« Don’t Be Afraid to Push Back! My partner and I were scheduled to attend an event at a local brewery. 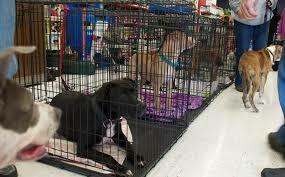 The event included having a drink and interacting with dogs and puppies up for adoption. We were thinking about going to this event but later decided not to. The reason is because we would be too tempted to adopt a furry friend. Now don’t get me wrong we are planning to adopt a dog but at this time it’s not appropriate. Our cat Millie, spent most of her life hiding from our cat Molly who past away last year. It wasn’t Molly’s fault. When we adopted Millie, we already had Molly so Molly was the dominant cat. At the time, we didn’t realize that if you have a female cat and add another female to the family, the two will never get along. So while we did our best to get Millie to feel more comfortable, Molly made it difficult so Millie, a skiddish cat anyway, spent most of her time hiding under the bed or in a space away from Molly. Now Millie seems to be enjoying her freedom. She is more comfortable since Molly is gone and is enjoying her life. We just couldn’t introduce a dog at this time. We’re afraid that this would put her over the edge and send her back into hiding. So sometimes we just have to resist temptation! Get the oldies playing today on Edgewater Gold Radio! It’s a 60s and 70s weekend! Great oldies and catch out classic disco show—Dance Fever 54 starting at 7pm EDT. Ask Alexa to “Play Edgewater Gold Radio” or listen from our website:Edgewatergoldradio.com. This entry was posted on Saturday, February 2nd, 2019 at 10:11 am	and is filed under Pet Supplies. You can follow any responses to this entry through the RSS 2.0 feed. Both comments and pings are currently closed.